If you used 3 level of nested Snippets you need Enable modifiers in settings! This is a bad practice to use 3 levels of snippets, but if you really need to, then enable this setting. 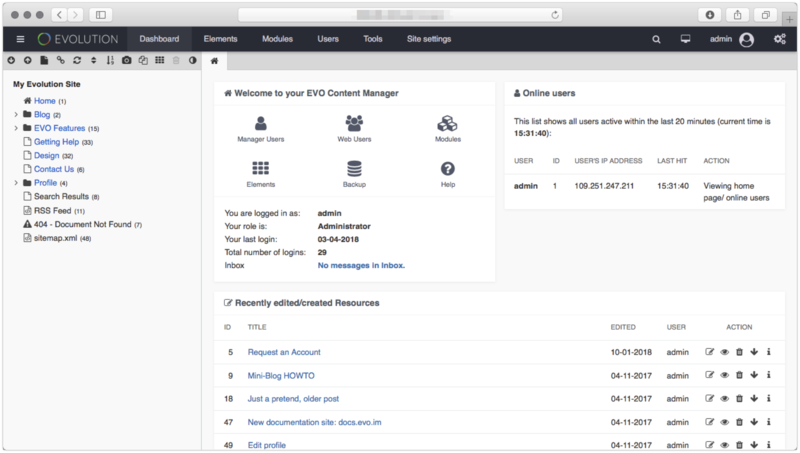 What is Evolution CMS 2.0? 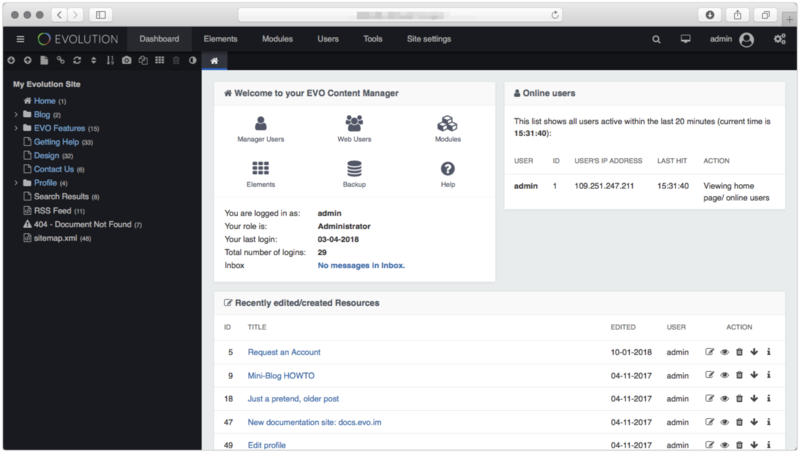 Evolution CMS 2.0 is the latest release of the popular content management system. While it works like before, underneath it's a major overhaul of a CMS that began life in 2004. The code has been modernised using components from Laravel. Gone is the infamous DocumentParser class, a collection of disparate functions. In its place are structured components for cache, events, logging, file system, cofig, console, migrations, seeders, Blade templating, models Eloquent, Observers, ServiceProvider and more. Developers Raymond Irving and Ryan Thrash unveiled the first release of MODX CMS in 2004. After MODX Revolution was released in 2012, the original MODX CMS (now called MODX Evolution) received minimal updates from the MODX LLC development team. A group of keen users from the MODX community stepped up to continue development. In March 2013, MODX Evolution 1.0.9 was released (https://habr.com/post/173667/), created exclusively by the community, under the leadership of Dmytro Lukianenko and Evgeny Borisov (who continue to work on Evo to this day). Releases were made under the auspices of MODX LCC (via modx.com). In April 2017, MODX LCC cut its involvement with MODX Evolution (https://modx.com/blog/evolution-cms-has-a-new-home). Since then, our team has chosen its own development course. 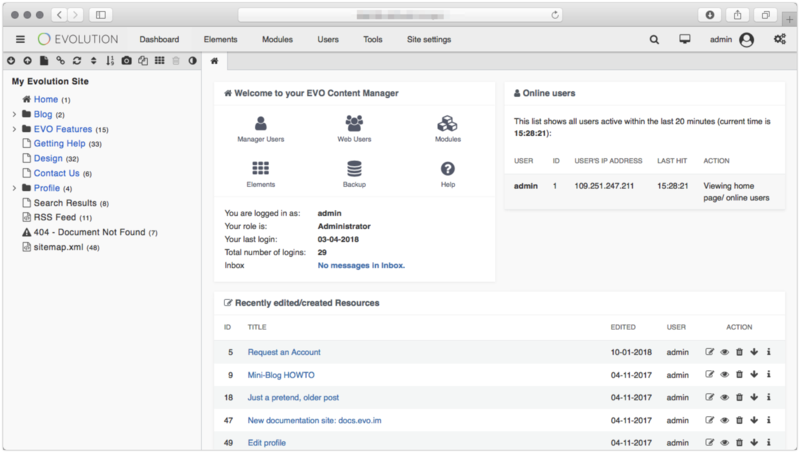 In July 2017, we made the first release of the newly-renamed Evolution CMS. Evolution CMS 1.3.0 https://github.com/evolution-cms/evolution/releases/tag/1.3.0 had a completely redesigned interface and a number of new features that embodied the wishes of the community. 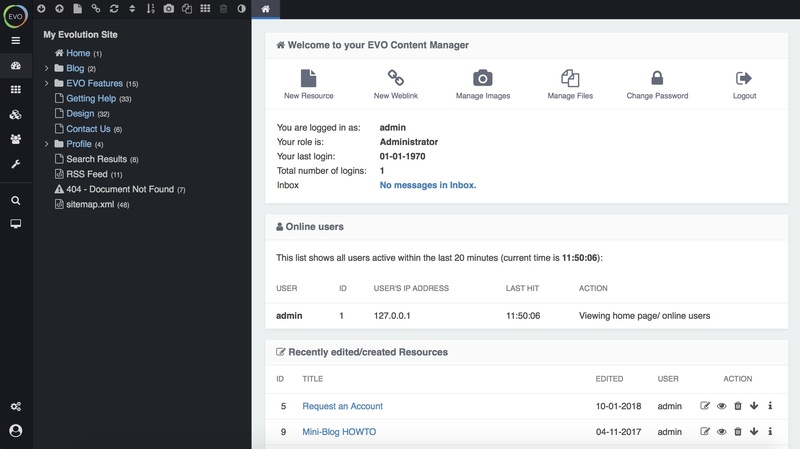 In November 2017, at the MODXpo conference, Lukianenko Dmytro successfully gave a report on progress with Evolution CMS (https://modcasts.video/videos/evo-cms-life-after-modx). 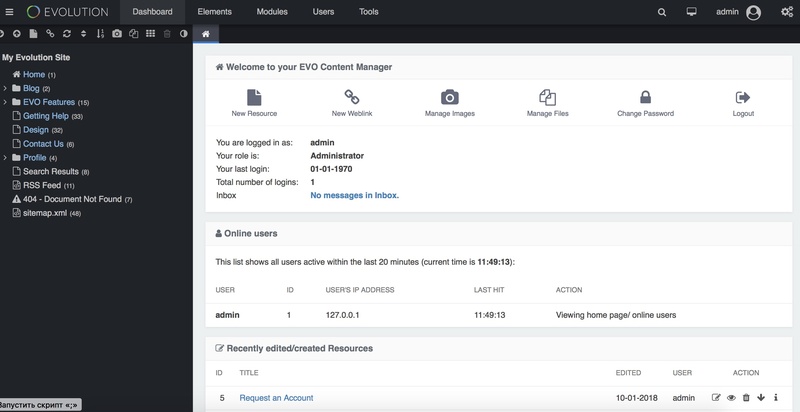 January 2018 saw the second major release of Evolution CMS 1.4.0 (https://github.com/evolution-cms/evolution/releases/tag/1.4.0), which radically changed a number of approaches in development. In June 2018 it was decided to rewrite the Evolution CMS using Laravel components, with the prerequisite of maintaining full backward compatibility. 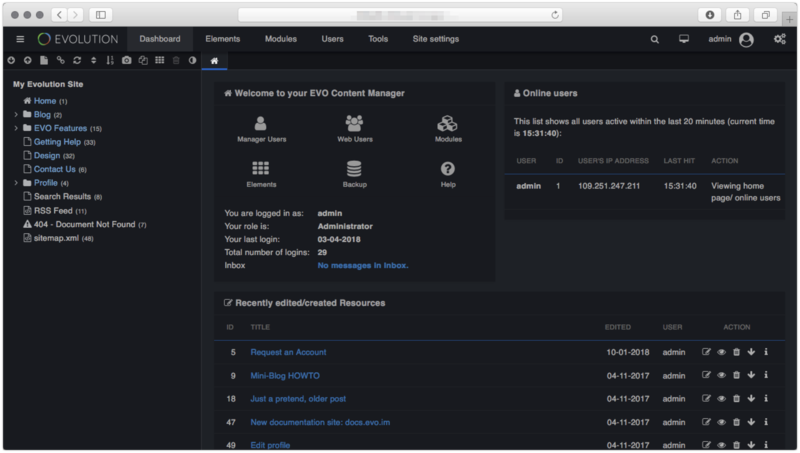 Now in December 2018 we are proud to present the first release of Evolution CMS 2.0. A very important requirement was preserving backward compatibility with old versions of Evolution CMS and MODX Evolution, and we did it! You can safely upgrade your website from version 0.9.6 released in 2005 to 2.0. Only any code written without using the MODX Evolution API must be changed. All standard add-ons are updated and work with the new version. Why did we choose Laravel? Initially, we saw only two ways: to continue working with obsolete Evolution code, while the community scattered and developers left the project, or to start writing a new CMS while keeping the old development paradigm people liked (the resource tree, chunks, snippets, TV parameters etc). But we found the third option in which we gradually refactored the outdated code whilst maintaining backward compatibility. Evolution CMS is simple. You can understand how to work with it in a couple of evenings, and if you want to write code for it, the knowledge is the same as working with any Laravel project. Now you don't need to learn something that's only useful when working with Evolution CMS. This gives us universal appeal, as it's easy to switch between systems. Will my existing Evolution CMS website continue to work? Yes! Sites built the traditional way will continue to work, but the new flexibility and innovation won't be visible. Great! How can I start migrating my site to the new features? The small transition in Evolution CMS 2.0 from the $modx->config array to using the $modx->getConfig() method already allows you to manipulate the system settings of the engine, which are taken from the database. You can prepare for this change in your snippets right now, because the getConfig() method has been available since version 1.4. Plugins for events can be created as before via the admin area or (new in Evolution CMS 2.0) through files. All this improves team development, simplifies project management through git. Developers will appreciate the convenience of storing the website configuration in Git. Why should I learn something new and not stay with 1.4? On version 1.4 you cannot install a site with one click. 1.4 doesn't have a good story for dev and production versions. Neither can you easily store templates in Git, or use database migrations etc. In version 2.0, this is all there. 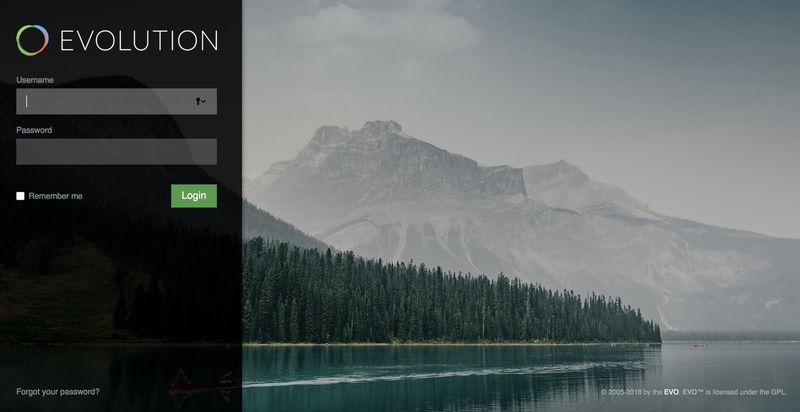 Can you use ready-made Laravel components with Evolution CMS? and create a provider file (core/custom/config/app/providers/Diagram_Generator. php) containing 1 line:. 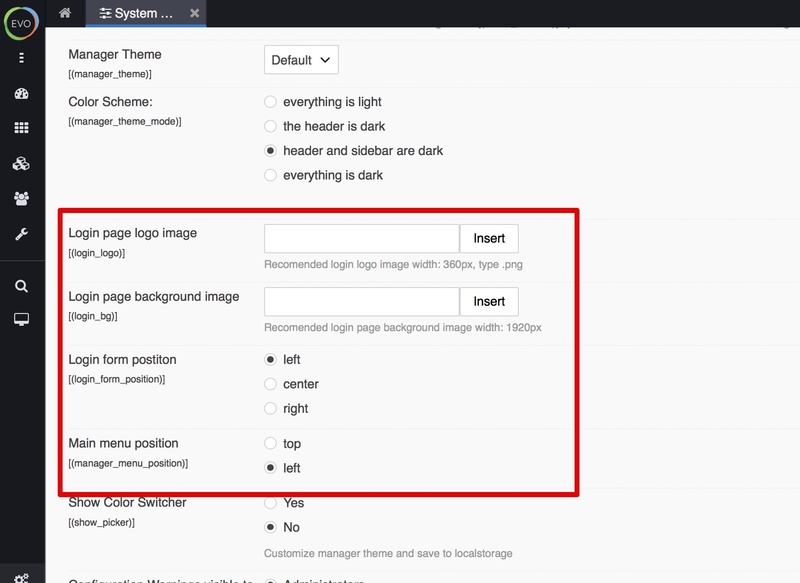 To work, we need to create a folder views in the root of the site, in which we will have templates. Actually and everything, no additional actions in the form of installing anything is required. 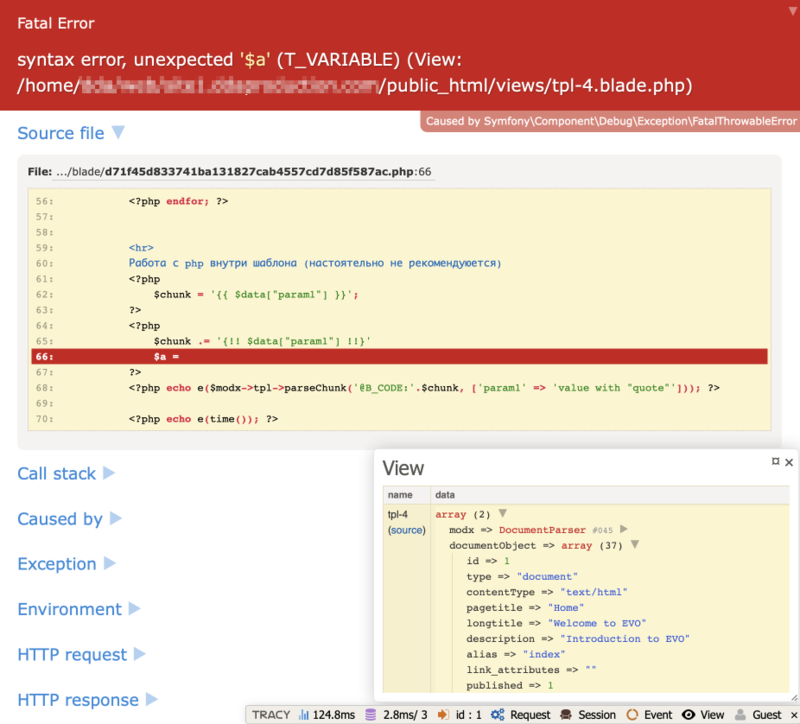 tpl-3.blade.php - use this if resource template=3. In Evolution 2.0 we introduce a new entity package. This is a package of add-ons that may include snippets, plug-ins, chunks, modules. Modules now require you to register yourself through the admin area, but in the future we will redo them so that they automatically pull up, as well as all other elements. * If you specify an empty line, then snippets and chunks will have our usual naming convention. And so we added our package in which we specified the namespace for the snippet, which allows us to use the same snippet from different packages, without worrying about the fact that they will conflict. Immediately register the wiretapping of events (plugins) and specify the folder for the chunks. The contents of this file is processed by the MODX parser, so you can use the usual MODX placeholders in it (an example with support for BLADE chunks will be later). Thus, we see that now you can fully work with Evo add-ons without having to store the code in the Database. At the same time leaving full backward compatibility with previous versions. More convenience for working with DEV PROD: migrations, sides, work through the console (artisan), solving the problem that DEV and PROD have different document IDs. Separating the core from the add-ons and transferring the selection of what to install by default at the time of installation (all that are chosen will be loaded and installed, and the rest will not be loaded). Refining the widgets for out-of-date extras and upgrades, with multiple levels of priorities. By sending us a great bug report, you will help us spend more time fixing the code, and not on figuring out what is not working. We decided before release 2.0 Alpha (very soon), on which we have been working hard lately, to devote some time to the 1.4.x branch, so meet release 1.4.6. The main works were aimed at stability of work + on safety, now the OutdatedExtrasCheck plugin takes information from the server, thus information on additions that have security problems will appear on the dashboard, which will give even more chances to learn about possible problems with security and fix it promptly. OutdatedExtrasCheck now checks outdated add-ons from the server and not locally. In 1.4.5, the main attention was paid to correcting errors and also checking that everything worked as stably as possible. It was corrected a lot of mistakes and added some useful things. I also want to inform you that this is the last release of the 1.4 branch (there may be 1.4.6 if found critical errors or security problems) and now we are completely concentrating on work on the 2.0 branch that will work on Laravel components. In general, a lot of work in this direction already done: https://github.com/evolution-cms/evolution/commits/2.x, but there is still a lot of work that we plan to do before the release. I think that this autumn will be very saturated for EVO.